St. Louis is a city in the state of Missouri that lines the western bank of the Mississippi River. The city is small compared to many other popular United States tourist destinations, but definitely worth the trip if you are traveling the continental U.S.. If you have never heard of the city, it's likely you've heard of the city's most popular landmark -- the Gateway Arch. Or, you may have heard of one of St. Louis' professional sports teams, the St. Louis Cardinals and the St. Louis Blues. The Cardinals are known as one of the all-time best Major League Baseball teams in history. We would recommend if you are visiting St. Louis during baseball season to definitely check out a game! Besides sports, there are many other famous attractions in the city including restaurants, bars, and historic momuments and museums. 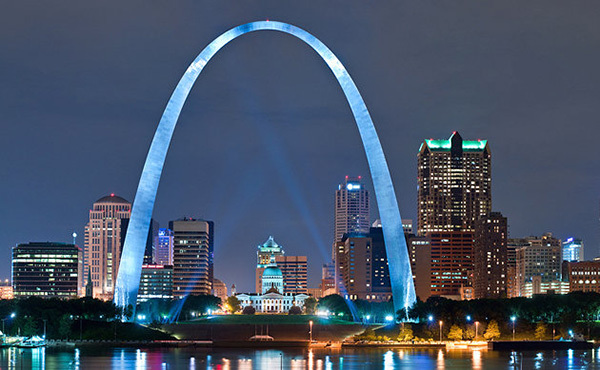 Our top spot in St. Louis is the city's most famous landmark -- the Gateway Arch. The Gateway Arch is a momument in the city of St. Louis made out of stainless steel. It is the world's tallest arch and stands for western expansion in the United States -- a symbol of American People. There is a reason the arc is is a popular tourist destination! It is one of the most famous monuments in the United States and a spot you can't miss. It is located on the west bank of the Mississippi river. As shown in the photo, it is a beautiful sight both during the day and at night. 7-Up AND ice cream were both invented in St. Louis. St. Louis was the first American city to host the Olympics. 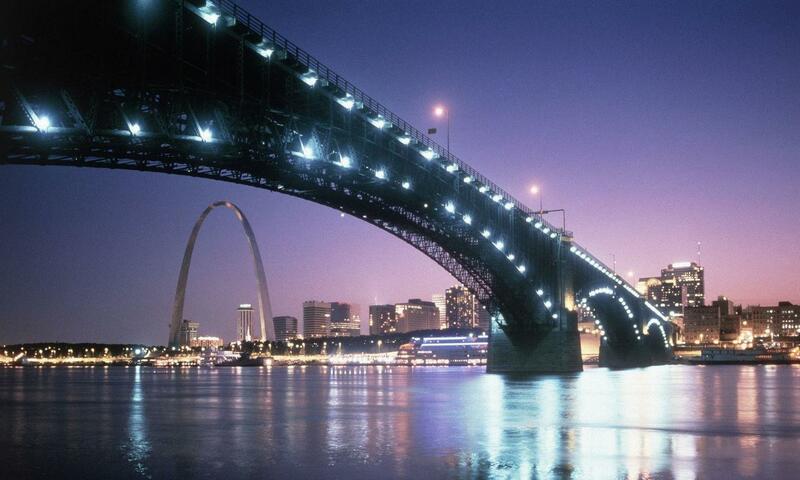 The first interstate highway was built in St. Louis. St. Louis is home to the largest beer-producing plant in the nation – Anheuser-Busch. The Missouri Botanical Gardens in St. Louis are ranked in the top three in the world.